DevOps should be defined by the outcomes: Those sets of cultural norms and technology practices that enable the fast flow of planned work from, among other things, development through tests into operations, while preserving world class reliability, operation, and security. DevOps is not about what you do, but what your outcomes are. So many things that we associate with DevOps, such as communication and culture, fit underneath this very broad umbrella of beliefs and practices. 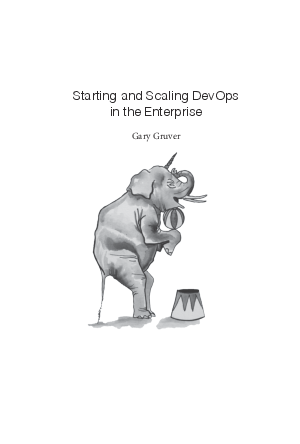 Download now to hear more from Gary Gruver, author of "Starting and Scaling DevOps in the Enterprise."